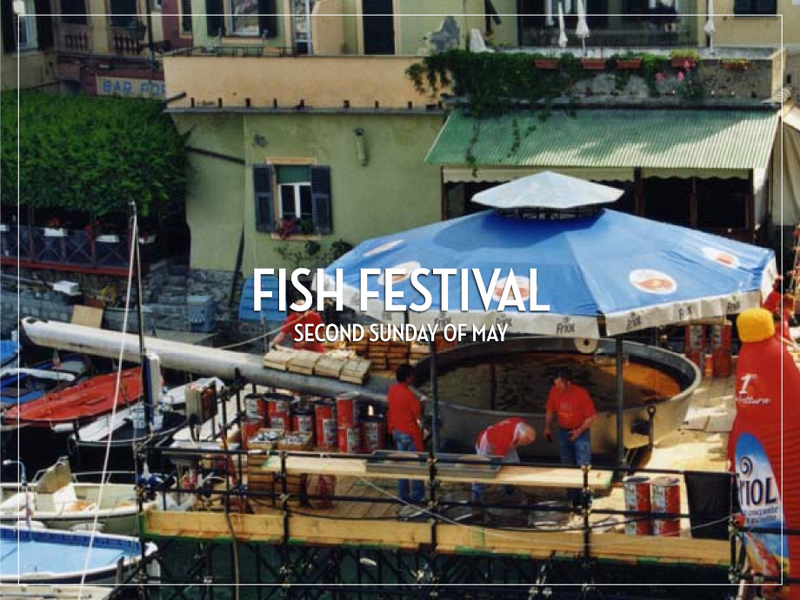 It is the local “Fish Festival” always celebrated on the second Sunday of May on the Columbus Square in the harbour. The first frying pan for frying the fish was introduced in 1954. It weighed 1.1 ton, had a diameter of 4 Mt and a handle length of 6 Mt. Later on several new and bigger pans were introduced. 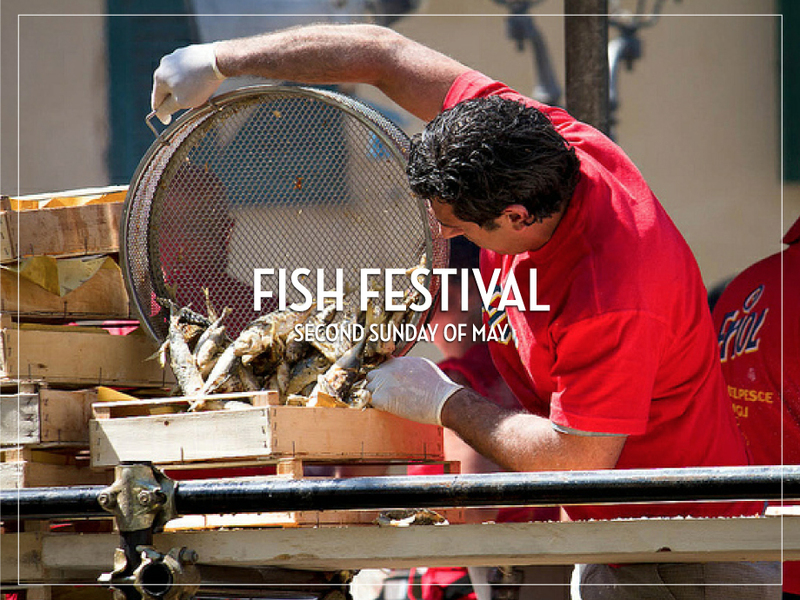 Nowadays a stainless steel pan 2.8 tons with a diameter of 4 Mt and a handle of 6 Mt is used for frying fish for 30,000 dishes during the Festival, using 3 tons of fresh fish and 3,000 liters of oil. 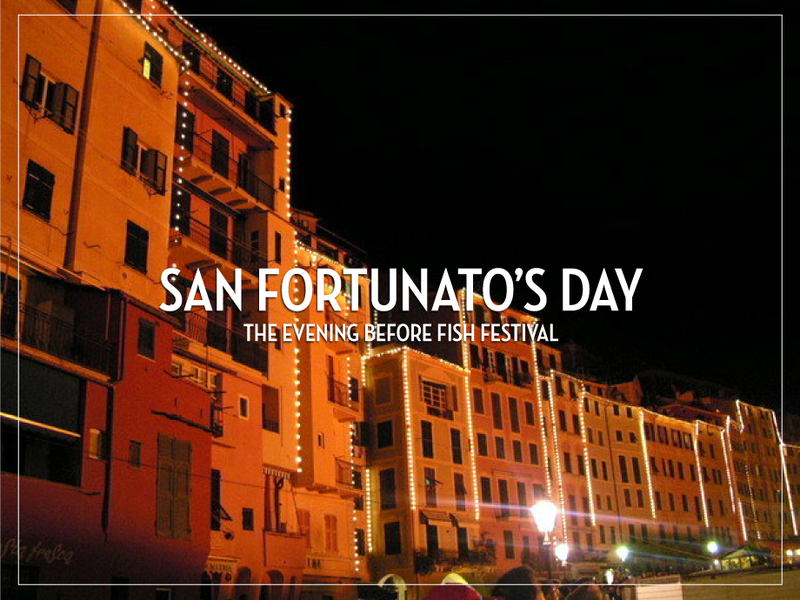 In honour of San Fortunato, the patron saint of fishermen, is held a religious celebration the evening before the “Fish Festival”. During the celebration 8 volunteers are carrying the 400 kg heavy statue of San Fortunato through the town followed by a huge crowd, also called the “Processione”. The evening ends with a spectacular fireworks and the illumination of the church tower followed by bonfires built by the citizens. 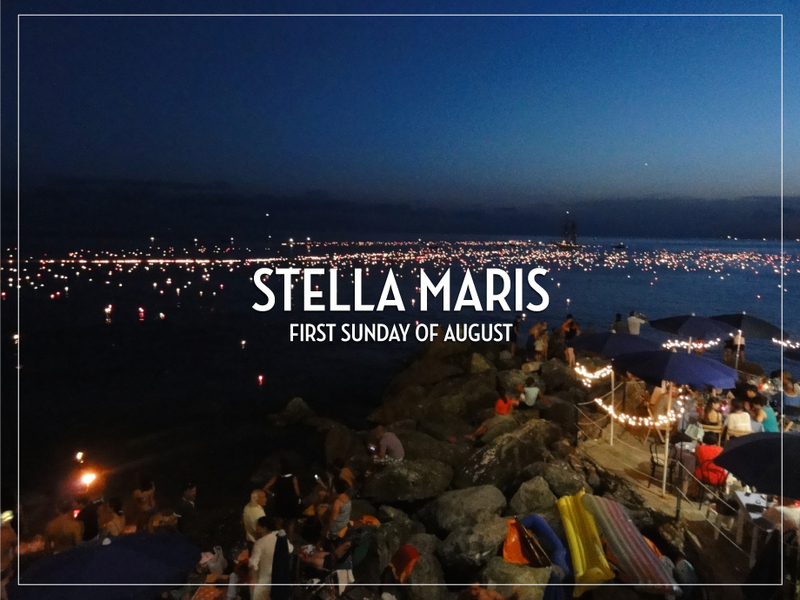 The Stella Maris is celebrated on the first Sunday of August. 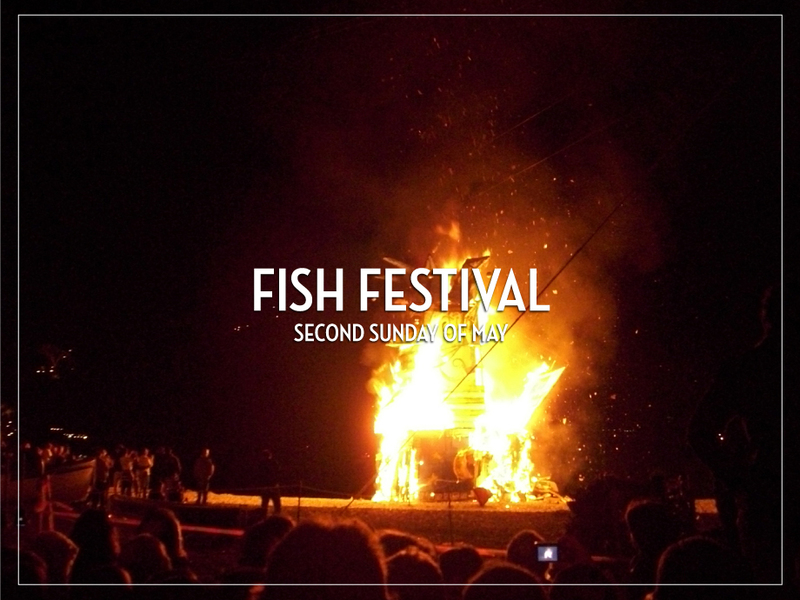 This festival dates back to the‘400 century. 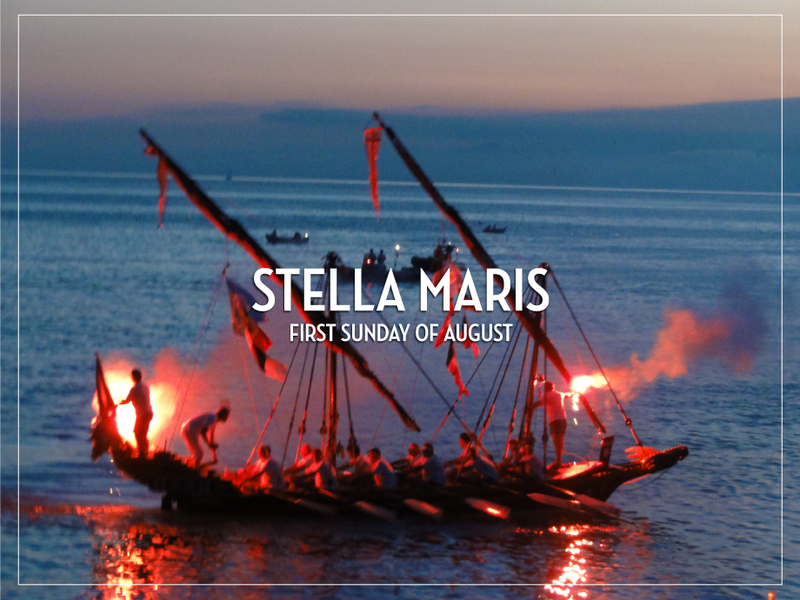 A procession of decorated boats included Ü Dragun is sailing from the harbour of Camogli to Punta Chiappa. 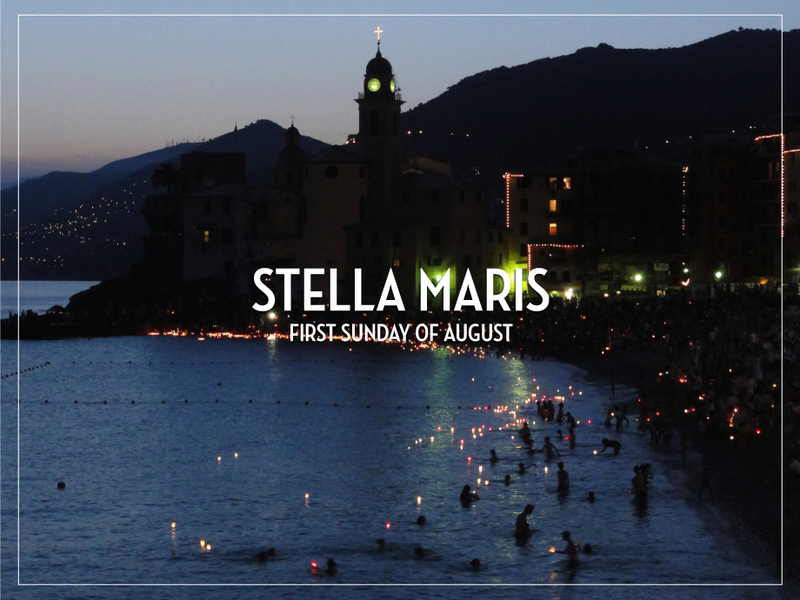 At the end of the evening the citizens of Camogli are putting thousands of lit candles in the sea in order to honour the “Stella Maris”. 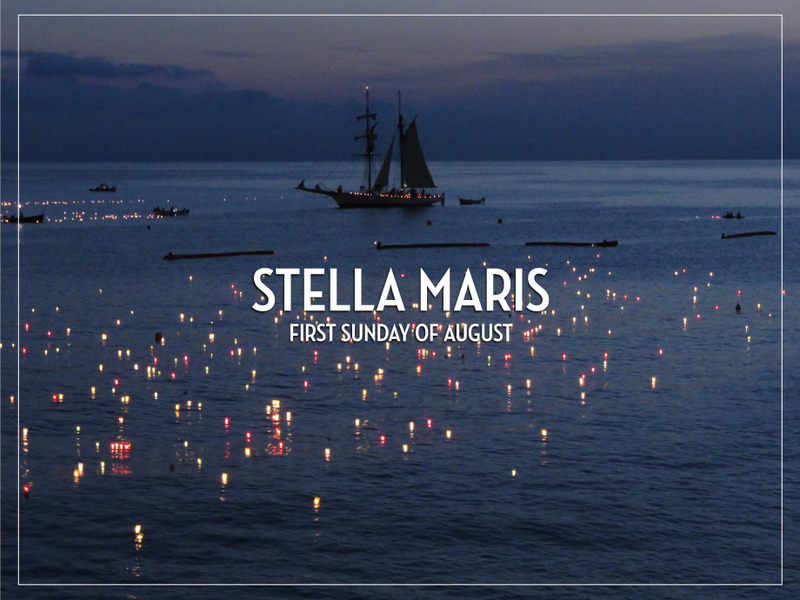 A fascinating view seeing thousands of lit candles floating in the sea. 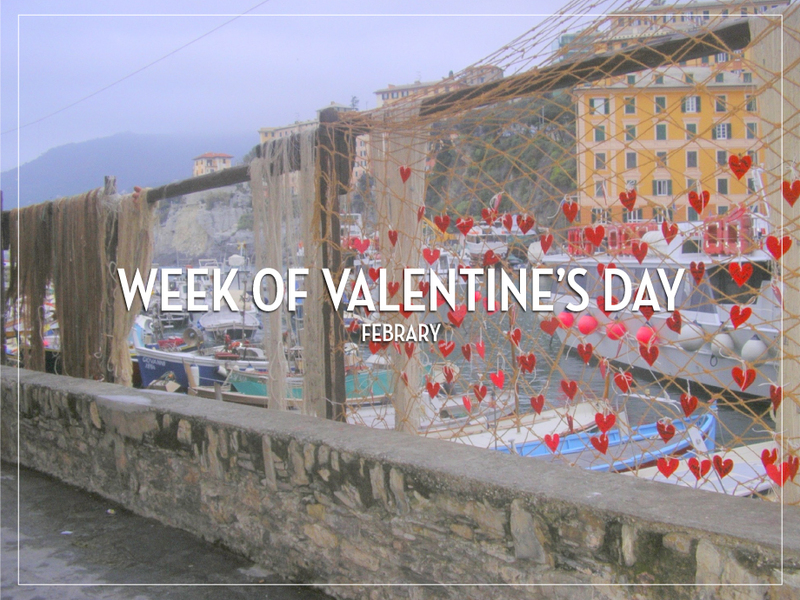 “Valentine’s Day … love in Camogli” is the romantic event that takes place throughout the week of Valentine’s Day. Special menus and romantic gifts are reserved for couples in all the shops and restaurants. Each year you can find a new collection of plates and cups decorated with motives related to the Valentine’s Day. 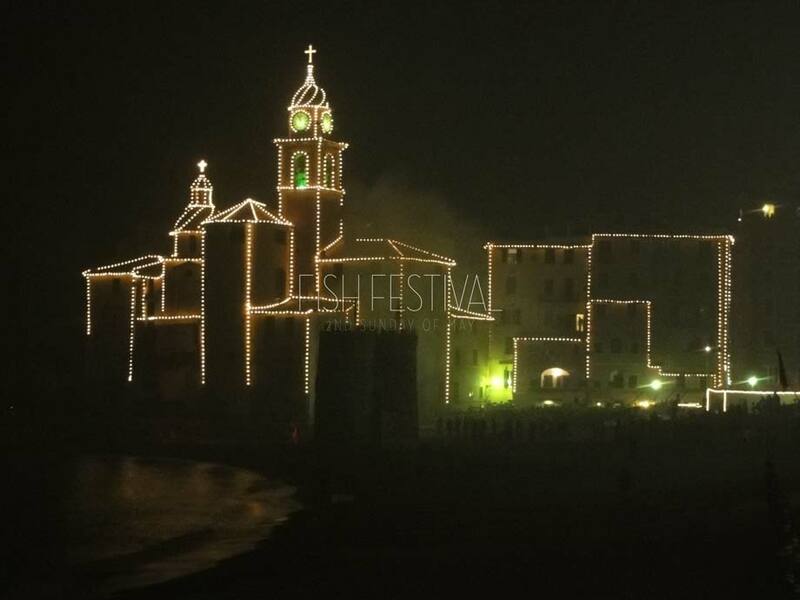 In the nearby village Recco from afternoon the 6th until late evening the 8th, the “Firework festival” take place, honoring the Lady of Intercession. The fireworks at the Sagra del Fuoco well known all over Italy, and lite up the sky on the 7th and 8th September. 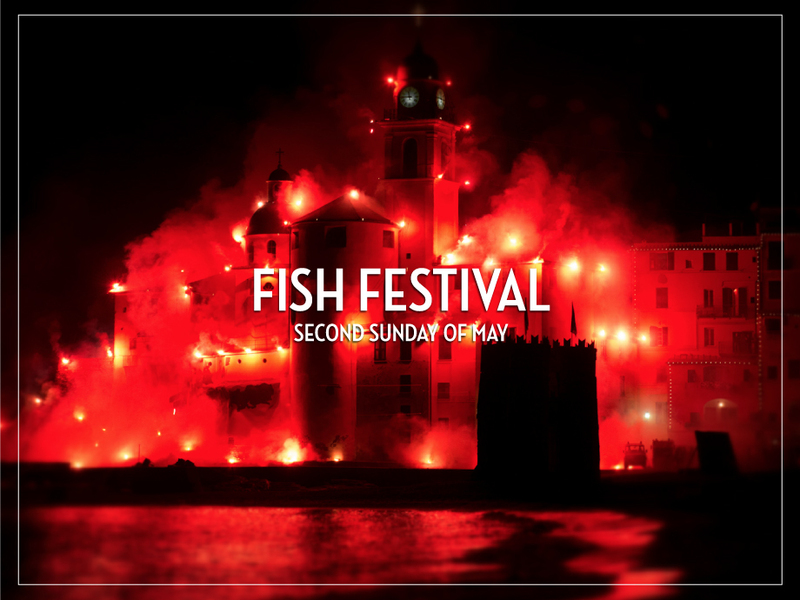 Seven quarters enter the challenge with the help of the best firework masters in Italy. The duration is approx. 2 hours between the 2 days. If you like fireworks, this festival is a must.